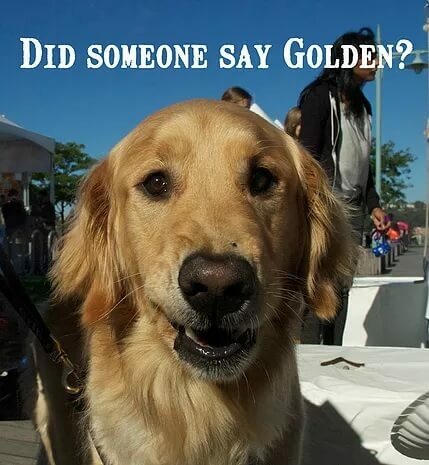 What is the golden rule when feeding your pets? HomeBlogfeaturedWhat is the golden rule when feeding your pets? The key to sorting out your dogs and cats allergies, skin disorders, joint inflammation, arthritis, bladder disorders and many of the dread diseases, is to balance their pH Levels. Just like with humans, our dogs (less so with cats) require a diet of 60% alkaline forming foods and 40% acid forming foods. However, to restore poor health, the diet should consist of 80% alkaline forming foods and 20% acid forming foods. If too many acidic foods are consumed and not enough alkaline, the acidity inflames your organs. An imbalance in the acid-base can lead to inflamed skin, bone and muscle loss, osteoporosis, increased blood pressure and risk of developing kidney stones, stomach cancer, fatigue and much more. I believe that the true judge as to whether a diet is “perfect” for both human and animal is based on whether they are able to provide the correct pH balances, with a leaning towards alkalinity. Thus, when one looks at popular human diets, this important formula is always fulfilled. Even the controversial, Banting Diet, promoted by our own legendary Professor Tim Noakes, fulfills these requirements. Often his proposed diet is misunderstood in that he is advocating a high fat diet with low refined carbohydrates, rather than a high meat protein diet. Looking thoroughly into his diet and recipes, the contribution of his veggies (predominantly alkaline) supersedes and balances the acidity from the meat content. Remember, fat, mostly has a neutral impact on PH. Importantly, when preparing diets for our pets the same considerations should be applied. If not, as a matter of fact, this will lead to inflamed cells, reduce immunity and lead to an array of health ailments like skin disorders, arthritis and the formation of kidney stones. Thus, looking at commercial pet foods in pellet/kibble form, it is quite clear why such diets cannot perform. The main ingredients are refined carbs – brewers rice, wheat and corn gluten, potato meal, soya meal and animal meals. As a matter of fact, such refined carbs are rated as “extremely acidic” and their contribution way overrides any alkaline ingredients that may come from this diet. The same arguments follow for diets that contain copious amounts of meat (raw or cooked). In the last few years, there has been a trend to feed our companion animals a high raw meat diet. Meat too is classified as an “extremely” acidic. The common reason for acidosis is a diet too high in acid producing animal products like meat, dairy and refined carbohydrates, and far too low in alkaline producing foods like fresh vegetables. The results of a landmark study conducted by animal science researchers in California show that feeding a group of dogs a freshly prepared, whole food, lightly cooked, nutritionally balanced diet made from real food is scientifically shown to increase white blood cells and blood proteins that could benefit immune health. The ground-breaking research is being presented this week at the 14th Annual American Academy of Veterinary Nutrition’s (AAVN) Symposium, held in conjunction with the 2014 American College of Veterinary Internal Medicine (ACVIM) Forum in Nashville, Tennessee.